The Biology of the Lion King: Engineers meet Biologists, Veteranarians, and Scientists! Engineers meet Biologists, Veteranarians, and Scientists! Alan Wilson has developed a structure and motion laboratory, which focuses on the study of animal motion and behavior to improve technology. The lab is designed to learn more about the structure of animals, and how this structure allows them to move. Alan Wilson asks questions about dogs, dinosaurs, elephants, and cheetahs. His dedicated team of vets, biologists, engineers, mathematicians, and scientists work together to develop new ideas to change the way we think about robotic systems. Increasing technological sophistication makes studying animals more precise than ever before, and scientists are able to measure movement with extreme definition. As we discussed in class, wildlife is a great resource for scientific study, and engineers can use their systems as models to design other systems. 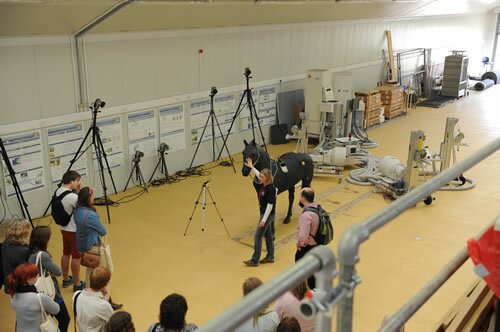 The structure and motion lab uses both fieldwork and laboratory work to study animal locomotion. The entire project is a collaborative effort that combines many different fields of science. Over the last ten years, Alan has been developing microtechnology to mount on animals for data collection. This microtechnology ranges from GPS tags to aerial drone systems to follow animals in the wild. This technology needs to be quiet, lightweight, and climate proof to survive in the harsh conditions of the wild. The most interesting part of this article for me is the Cheetah Robot design, that is using the aerodynamic body structure of the cheetah as inspiration for a lightweight, free-moving field robot. 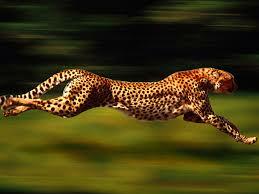 In class, we marveled at the magnificent speed and grace of the cheetah. I wondered how a creature created by nature could move so quickly and effortlessly in the savannah. This lab is actually studying this animal with such precision, that scientists are actually coming closer to figuring out how the cheetah runs! Wow! The interdisciplinary study of this laboratory is inspiring! It is so great to see different fields coming together to ask questions about their surroundings. Reading this article made me reflect on my studies as an engineer. It has been so wonderful for me to come to Cape Town with a variety of Stanford students with different academic backgrounds to share ideas, and experience a new culture together.